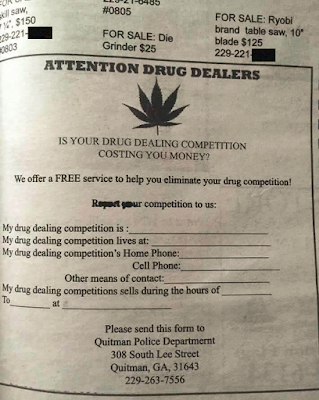 Tired of illegal competition? Well, who isn't? 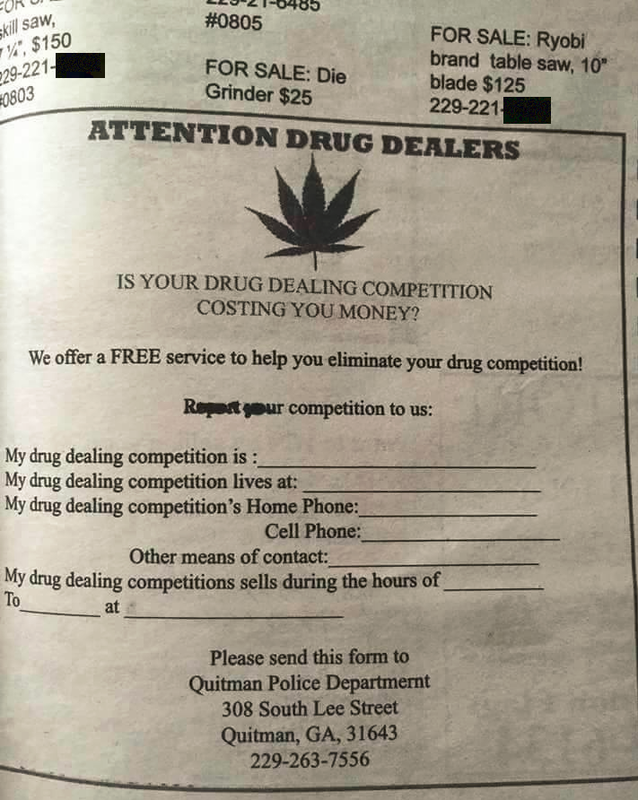 And the Quitman Georgia police department has an ad that can help. By the way, I believe in legalizing drugs. I just found this humorous.